RQ-170 Sentinel, the U.S.’ most sophisticated spy plane, was captured by Iran and it was paraded on Iranian state television earlier today in near mint condition. Iran claims the lost RQ-170 Sentinel was on a surveillance mission last week when it was detected by Iranians over Kashmar and was downed by their armed forces. But the drone appears to be in good shape contradicting Iran’s claim it was shot down – and backing up U.S. claims that Tehran did not bring it down through electronic, cyber or any other means. A senior U.S. official confirmed it was the drone earlier today. “Yep, that’s it – it’s intact,” a source told Fox News. Meanwhile the official added that President Obama decided not to retrieve or destroy the drone because that could have been seen as an act of war. U.S. officials have admitted the drone was lost on a mission last week, but say it was probably because of a malfunction on board. The officials also pointed out it would have probably been badly damaged – and therefore less sensitive – if it had fallen from a height of up to 50,000 ft. However the video shows the drone pretty much intact. The tour of the drone on Press TV is clearly political maneuvering by Iran as the U.S. tries to find out more about the country’s nuclear programme. Iran claims the drones are a violation of its sovereignty and feels they are an aggressive act against them, reported Yahoo News. U.S. said earlier this week the drone was only supposed to fly over Afghanistan looking for insurgents then flew off course. U.S. officials are concerned about the Iranians potentially sharing or selling what they could have recovered of the aircraft to China or Russia. These fears will be heightened following the broadcast, as it shows the cream-coloured drone seemingly intact despite its crash. 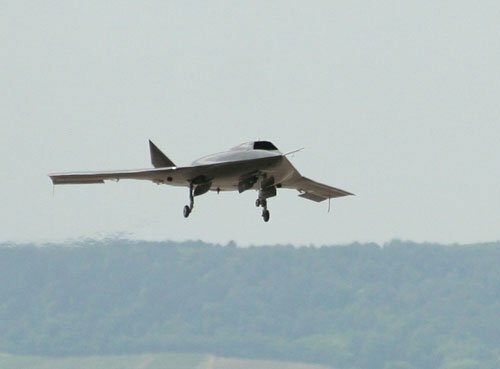 Press TV also reported that Iran will now “carry out reverse engineering” on the drone, which was manufactured by Lockheed Martin. The RQ-170 was used to watch former Al Qaeda leader Osama Bin Laden during the Navy SEAL mission that killed him, reported ABC News. A senior U.S. official claimed any capture shines a light on the U.S. spying mission, but will not tell Iran much it did not already know. Experts and officials acknowledge that there is no self-destruct mechanism on the Sentinels, which are used both by the military and the CIA. This is bound to raise questions about why an aircraft would be developed that stays intact when it crashes and could get into anybody’s hands. Iranian state radio reported on Wednesday that the country would soon broadcast video footage of the downed drone. It was shown on Thursday.